Private Dean was the son of John Harrison Dean, and Sarah Ann Dean. He was the husband of Annie Dean, of 5, Saxifield Street, Harle Syke, nr. Burnley. Mrs. Dean, 5 Saxifield-street, Harle Syke, has got letters informing her of the death of her husband, Pte. Thomas Dean, in hospital in France, immediately following upo serious wounds in action. The letter from the nurse states that he was admitted to the hospital at ?p.m. on September 23, badly woubded in the arms, legs and back. "The poor fellow," the letter continues, "was conscious for a few minutes, and sent his love, but I regret to say he died the same evening at 7-30." Pte. Thos. 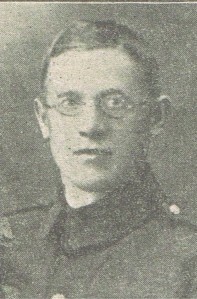 Dean was 30 years of age, and joined the army in July 1916, going out to France twelve months later. He was formerly a weaver at Walshaw Mill, Harle Syke, and belonged to Burnley Lads' Club. There are three of his brothers-in-law serving in France. DEAN. - Died of wounds, in France, on Sept. 23rd, Pte. Thos. Dean (212796), Labour Co., aged 30 years. Love and remembrance will live for ever. -From wife and child, 5, Saxifield-st, Harle Syke. -From his loving sister, Maria, and Jim (in France). -From his parents and sister and brother, 16, Cuerdale-st., Harle Syke. 1918 – DEAN Thomas of 5 Saxifield street, Harle Syke, Burnley, private 53rd Labour Company, attached to King’s Liverpool Regiment, died 23 September 1917 at Poperinghe Ypres in France. Administration London 12 September to Annie Dean, widow. Effects £140 0s. 6d.